We are in the final Christmas countdown! The last couple years, we have kept Christmas day low-key at my family's house. I grew up going to my grandparents for years, then swapping year to year where my aunt or my mom hosted a big family gathering & dinner. While I love a more formal family get-together with a sit down meal, this year we are continuing a newer tradition: staying in our pjs all day and ordering Chinese food. DC grew up in a Jewish family (classic Chinese + movies on Christmas) so he loves this, and gotta say, it takes the pressure off a big meal and lets everyone in the family enjoy one another and relax - with good grub & minimal clean-up! 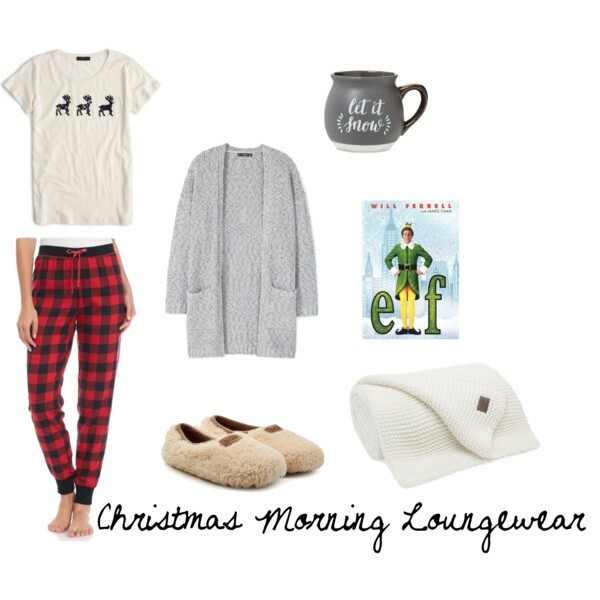 I will be wearing some sort of festive cozies this year and here's a cute Christmas morning loungewear look for inspiration.